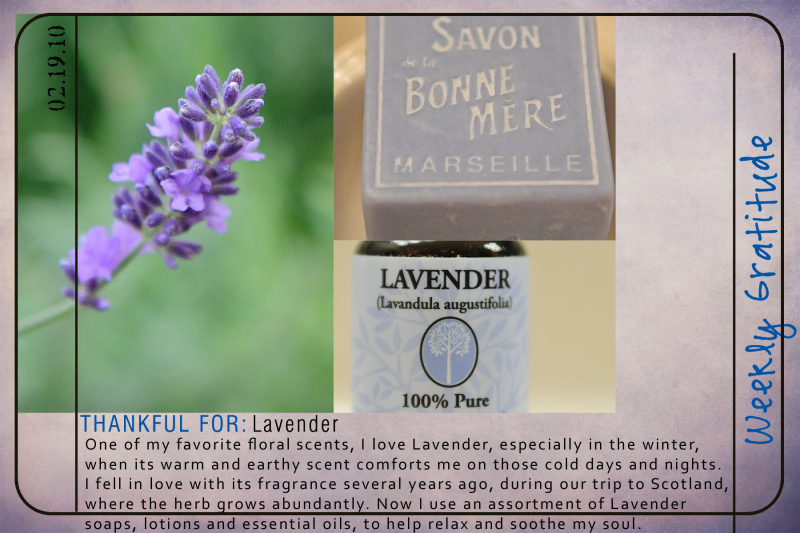 A favorite scent - so relaxing and soothing. I even planted several Lavender plants in front of the house. In the summer, I can reach for a flower or even a stem, crush it lightly and enjoy the fragrance.